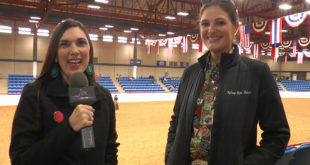 2018 Horsewoman of the Year Abby Legal tells us about the horses, shows and owners who helped her accomplish this feat. 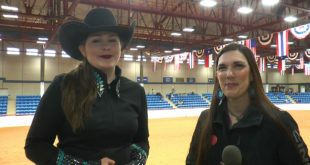 Catelyn Walker won the Youth 14-18 and the AQHA 14-18 classes at the FWSSR! Check out Catelyn’s interview! Kelsey Slusser and her mare, Pearls Of Whizdom, took some time off since September, and came back and won the APHA Open and Amateur classes! 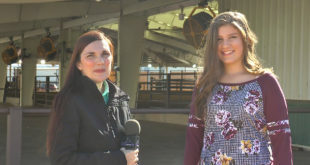 Taylor Gillespie won the AQHA All Ages class at the FWSSR! Check out Taylor’s interview! 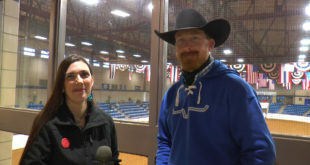 Greg Lilley won the Non Pro and AQHA Amateur classes at the FWSSR! Check out Greg’s interview! 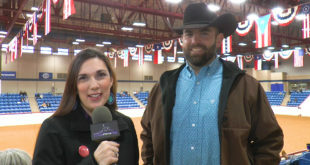 Gordon Potts had a good day in the pen at the FWSSR by winning the Open and Limited Open classes. 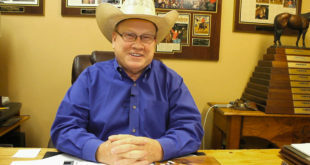 Check out Gordon’s interview! 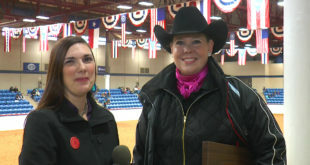 Cayce Bennett won the Novice Horse Non Pro at the FWSSR! Check out Cayce’s interview! 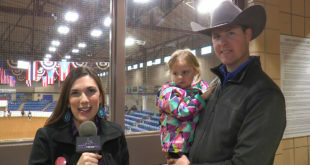 Clint Thomas won the Novice Horse Open at the FWSSR! Check out Clint’s interview! 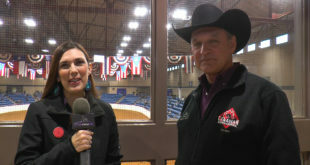 Meg Johnson did a repeat of last year, by winning the Rookie Level 2 at the FWSSR! Check out Meg’s interview. Fernando Salgado talks with us about his collection program. Check out Fernando’s video! 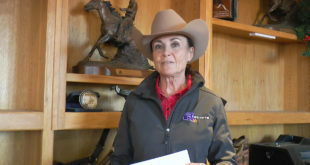 Ann Anderman talks with and shows us how to read your judges sheet. We will be putting these out monthly, so check out Ann’s video! 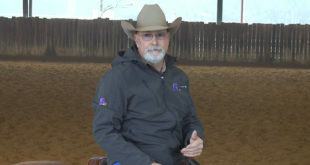 Monte Anderman talks with us about confidence in older horses. 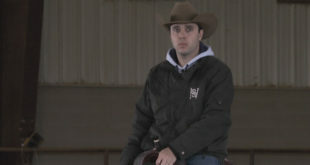 Check out Monte’s video! 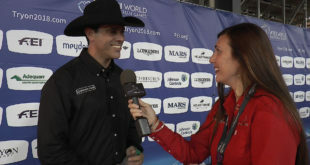 Thiago Boechat talked with us after his individual run at WEG! Check out Thiago’s interview. Tim McQuay finishes up with his best advice for beginning reiners! Check out Tim’s video! 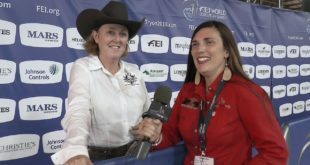 Shaunna Larcombe talked with us after her individual run at WEG! Check out Shaunna’s interview! 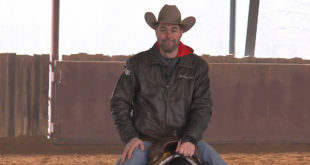 Tim McQuay talks with us some more about his horse training philosophy. Make sure to check out Tim’s video! 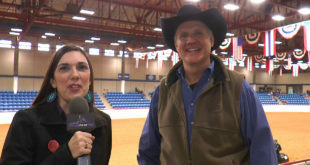 Rudi Kronsteiner talks with us about his individual run at WEG! Check out Rudi’s interview. 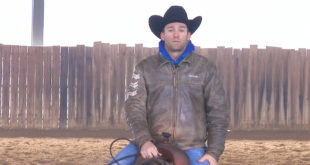 Tim McQuay talks with us about what drives him to keep training and getting up each day. Check out Tim’s video. 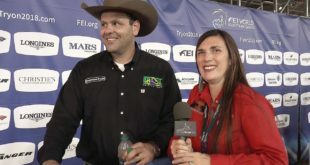 Roberto Jou talked with us after his individual run at WEG! Check out Roberto’s interview! McKenna Ivey is our first Youth Spotlight for the new year! Check out McKenna’s interview!